When you are running a long campaign, keeping track of your gallery of NPCs can be quite daunting. There are many programs out there that can help, from Fantasy Grounds to Hero Lab. These are great solutions, but I use Google Drive for all of my writing, so figuring out how to use that was my top priority. Head over to the full article about how I use Google Drive to track my NPCs. SagaBorn Battles is heading into Beta! After testing, we have deemed the system is ready to move out of Alpha, and into Beta. The dice mechanic is working well and has lead to many close skirmishes. For beta a few characters are getting small tweaks, and wording is being streamlined for Talent cards. There is no need to wait though, you can download the Alpha right now and play! 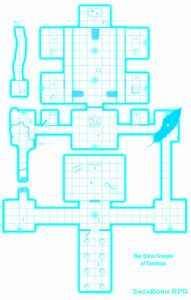 Robert Adducci is freelance RPG designer and D&D Guild Adept. He has credits under Wizards of the Coast, Schwalb Entertainment, Kobold Press, and Soldier Spy. He was the community manager for the D&D Adventurers League and is a die-hard Dark Sun fan and the founder of the Burnt World of Athas website (Athas.org). Robert was born in the deserts of Athas, aka Phoenix, AZ, but now lives in the cool climate of Colorado with his wife, two little adventurers, and two animal companions. 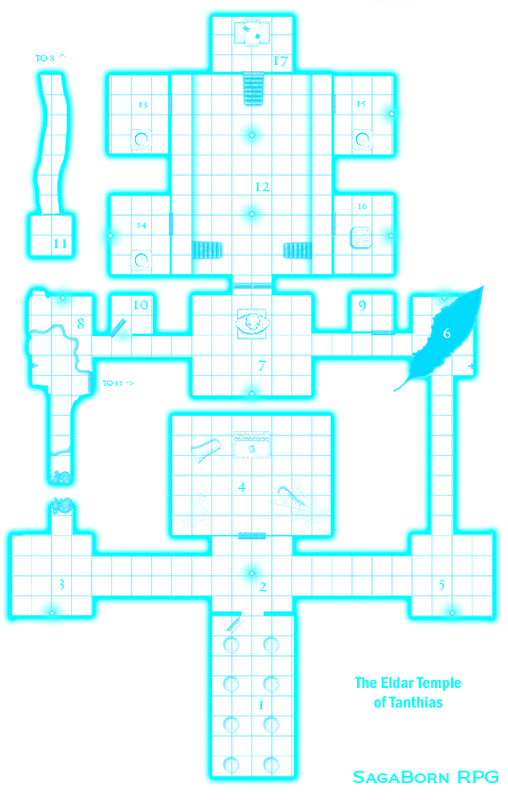 I am also playing with the idea of doing a tiny Kickstarter for the print run, which would allow me to do things like print and distribute the book and fun add-ons like this old school style map of the temple. 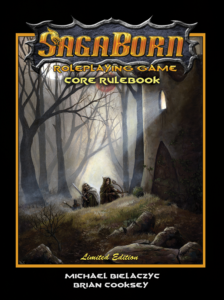 The SagaBorn Limited Edition Print Book is on sale for $10! 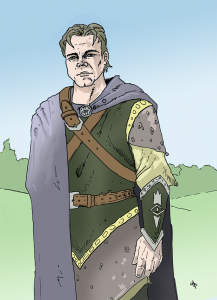 Grael Orgrain is a minor NPC in the Path of Two adventure series. Head over to the Dark Return website to learn more. Stay warm and live the fantasy!